Cross Stitch Number PSD Pack - Free Photoshop Brushes at Brusheezy! Remember cross stitching? Bring the class craft into the digital age in your work with this new Cross Stitch Number PSD Pack! Included in this pack are the cross stitch number PSDs 0-9, as well as the math symbol PSDs. 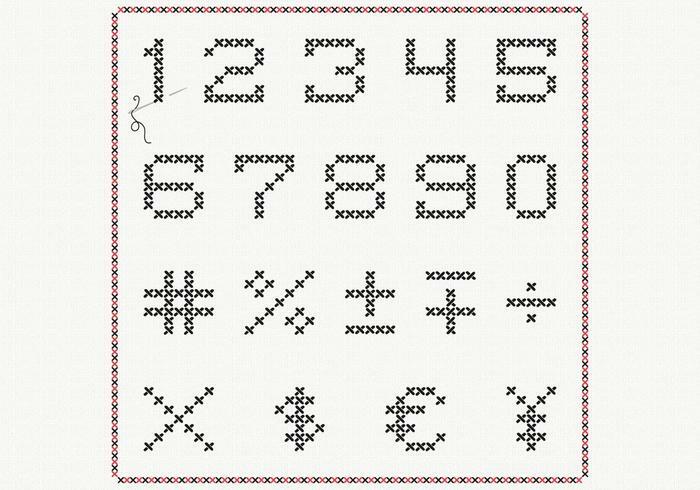 Use these cross stitch number PSDs and cross stitch border in your next project and then check out the <a href="http://www.vecteezy.com/signs-symbols/59658-cross-stitch-number-vector-pack/premium">Cross Stitch Number Vectors</a> over on Vecteezy!